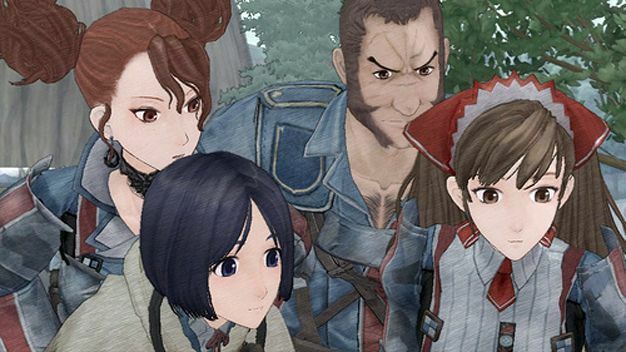 SEGA’s Valkyria Chronicles, whose “Canvas” graphic engine makes the whole thing look like a watercolor painting come to life, already feels like an anime peppered with some interactive elements, so it should come as no surprise that an anime studio is losing the gameplay entirely. Aniplex’s A-1 Pictures, the same studio behind some of my current fansubbed faves, the gender-bending Birdy the Mighty Decode and game-inspired Persona Trinity Soul, will be producing a Valkyria Chronicles anime, scheduled for release on Japanese television before the cherry blossoms bloom next Spring. I don’t know about you, but I think these anime adaptations tend to be surprisingly good, but that’s probably because my senses have be dulled to a spoon’s edge by recent video game based masterpieces staring a certain emphasis challenged former Funky Bunch-er.